Scientists studying birth defects in humans and purebred dogs have identified an association between cleft lip and cleft palate – conditions that occur when the lip and mouth fail to form properly during pregnancy – and a mutation in the ADAMTS20 gene. “These results have potential implications for both human and animal health, by improving our understanding of what causes these birth defects in both species,” said Zena Wolf, BS, a graduate student at the University of California, Davis School of Veterinary Medicine. 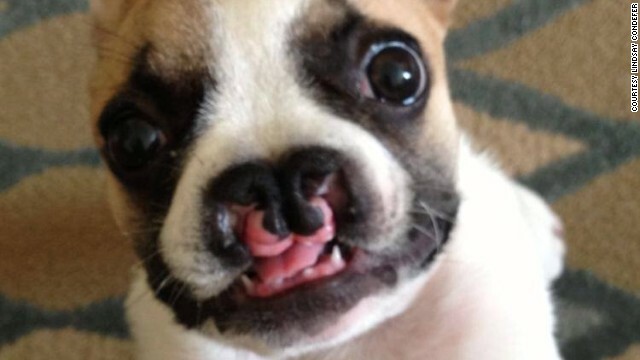 In both humans and dogs, cleft lip and cleft palate occur naturally with varying degrees of severity, and can be caused by various genetic and environmental factors. Since purebred dogs breed only with each other, there is less genetic variation to consider, making cleft lip and cleft palate easier to understand in these populations, Ms. Wolf explained. From previous studies, the researchers knew that a mutation in the dog genes DLX5 and DLX6, which are involved in face and skull development, explained 12 of 22 cases of cleft palate. However, a mutation in the corresponding human genes accounted for just one of 30 cases in the study sample. To search for additional genes that may be involved, Ms. Wolf and colleagues performed a genome-wide association study (GWAS), a study that compares the genomes of dogs with cleft lip and cleft palate to those of dogs without it. They found that the conditions were associated with a mutation in the gene ADAMTS20 that caused the protein it encodes to be shortened by 75 percent. Previous studies had shown that ADAMTS20 is involved in the development and shaping of the palate, but no specific mutations that occur in nature had been identified. A similar GWAS in people with cleft lip and cleft palate suggested that mutations in the human version of the ADAMTS20 gene may also increase the risk of these conditions. “Cleft lip and cleft palate are complex conditions in people, and the canine model offers a simpler approach to study them,” Ms. Wolf said. “Not only does this research help people, but it helps dogs, too,” she added. Future directions include searching for additional genes that may be associated with cleft lip and cleft palate, and extending the research to other breeds of dogs, such as Labrador Retrievers and Whippets.